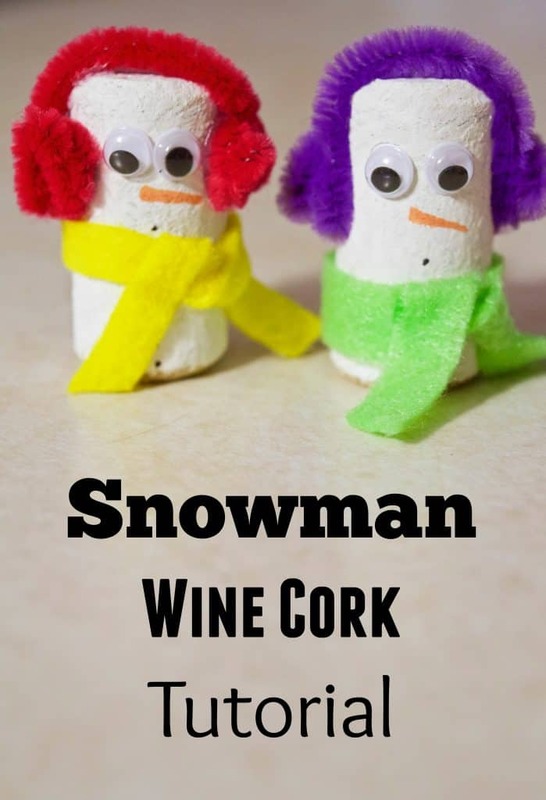 If you loved our Snowman Wine Cork craft you’ll love this Penguin Wine Cork craft tutorial! 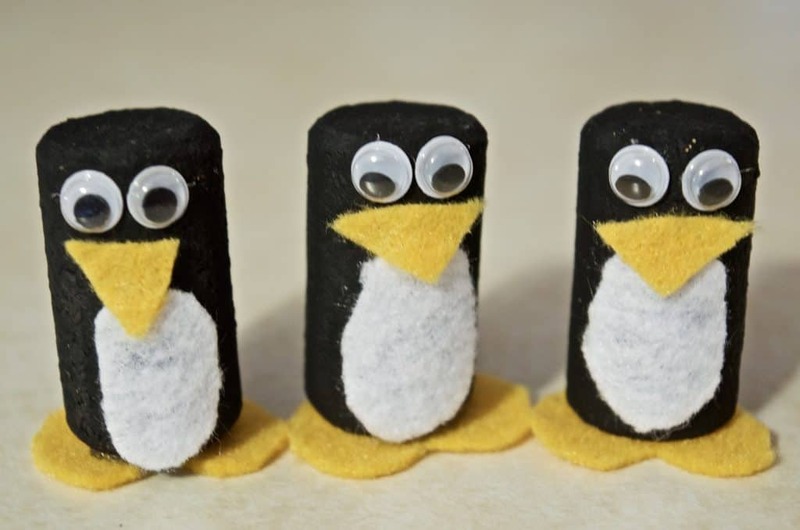 It’s a perfect craft for your classroom winter penguin lessons! 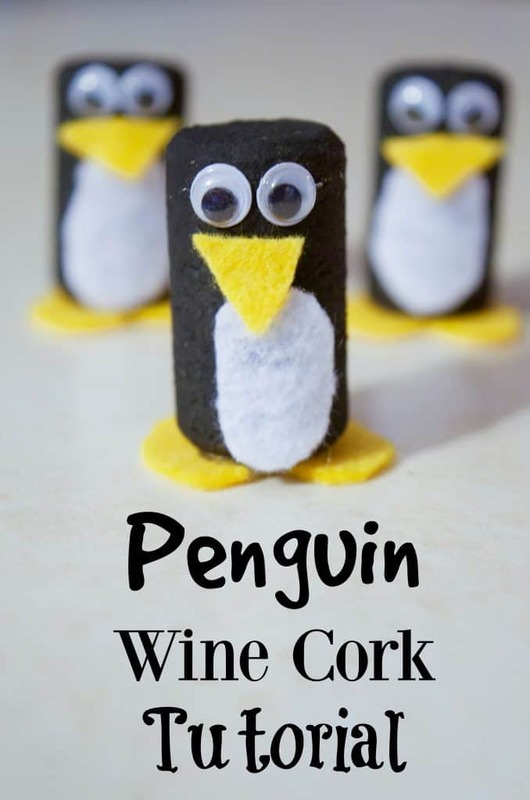 Or maybe you have a kid like my daughter who loves imaginative play and builds igloos out of cotton balls for her new wine cork penguins. 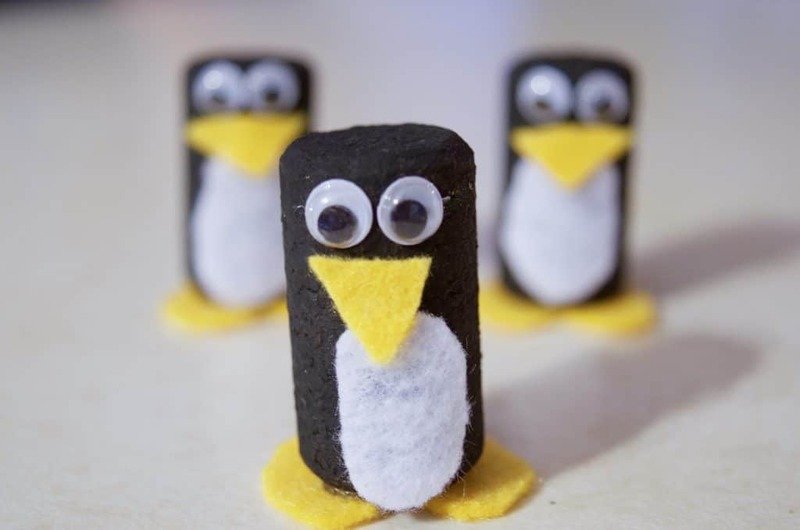 Either way this penguin is super easy to make and provides plenty of fun! These cuties are super easy to make! If you have younger children working on them and you don’t want to use a hot glue gun just grab a pack of Glue Dots . Start by painting each wine cork that you’ll need all black. Then just cut a small yellow felt triangle, a white oval, and for the penguin feet I cut a yellow heart out and hot glued it onto the bottom of the wine cork. Don’t forget to glue on the eyes! Voila! Easy peasy! Although if you’re making these with a classroom I recommend pre-cutting out your felt shapes! You could probably have the kids use a black marker to color the wine corks with if you wanted too.